The past 20 years have been trying ones for Santa Claus and the National Elf Service. The decision to split the purchasing of presents from their delivery was meant to improve efficiency, but he’s been having second thoughts. There are just too many CCGs (Christmas Commissioning Groups) and Present Providers (parents and grandparents). As a consequence, the National Elf Service has been going through some of its toughest years on record. Presents have gone missing, the elf workforce is ageing, quality has fallen while the outsourcing of present wrapping to premium agencies seems to have added to costs rather than saving them. Furthermore, the cost of providing Christmas grows relentlessly each year. Santa wistfully remembers when a Meccano set was a cutting-edge present. So it’s not surprising that Santa has decided to take action; he can’t afford another Winter Crisis: the waiting list for Xbox Ones has only just started to shrink. In the face of Mrs Claus’s refusal to loosen the purse strings (she is focused on her jams) new Santa Transformation Plans (STP) have been proposed. CCGs and Present Providers will now work together in each locality in order to balance the growing demand for presents within Mrs Claus’s austere budget. 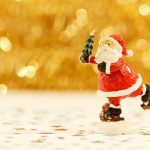 Some of it sounds sensible and it may work, but Santa is worried that his elves’ predictions of a fall in demand for presents thanks to children eagerly adopting anti-consumerism views are a bit optimistic. ‘Self-satisfaction’ is a great idea but hard for many to attain. Santa wonders whether the p/p split was a big mistake and is beginning to think that a joined-up system based on having more trust in his elves might work wonders. After all, if in the true spirit of Christmas people co-operated and shared more with their fellow neighbours all year round there is no limit to what could be achieved.